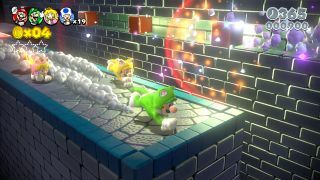 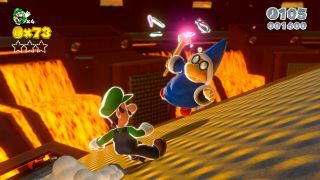 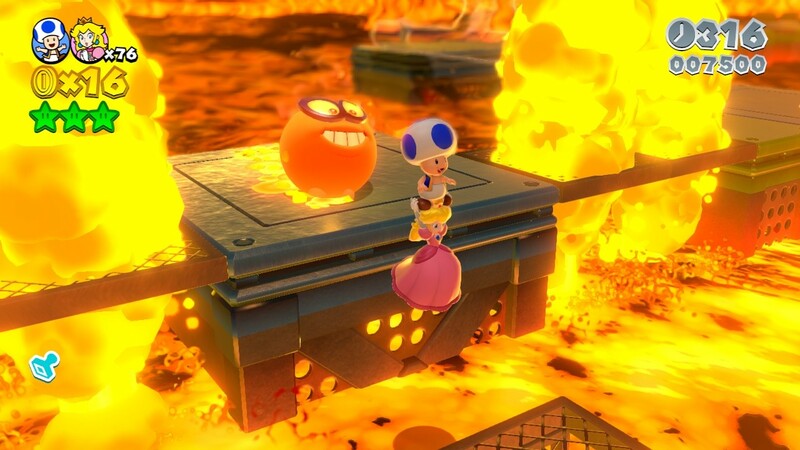 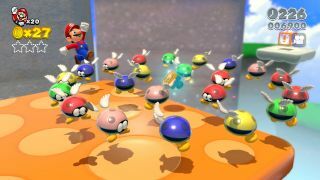 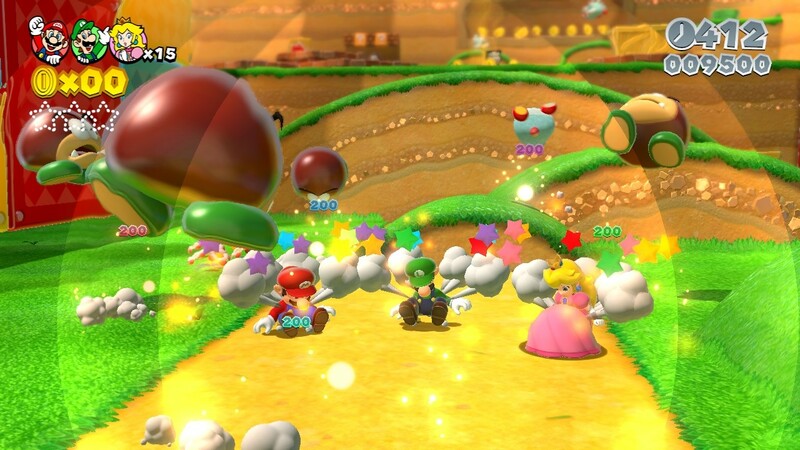 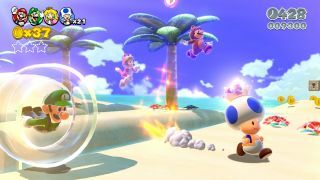 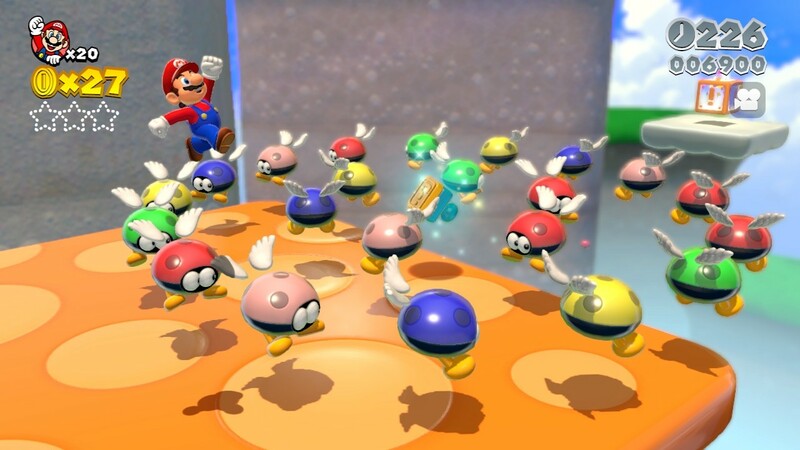 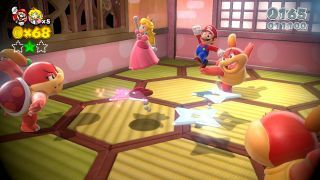 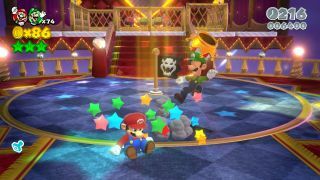 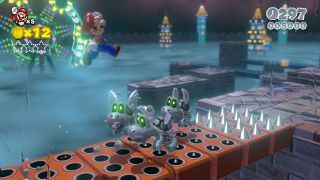 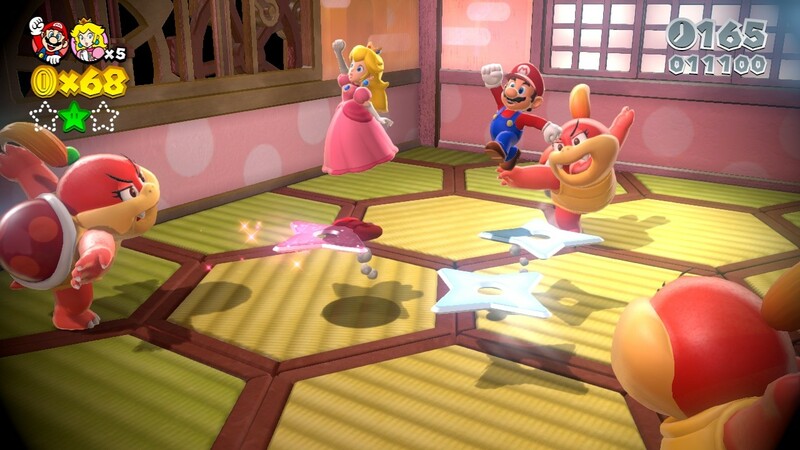 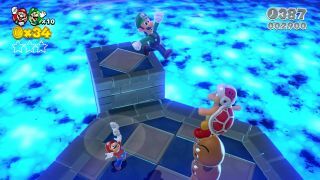 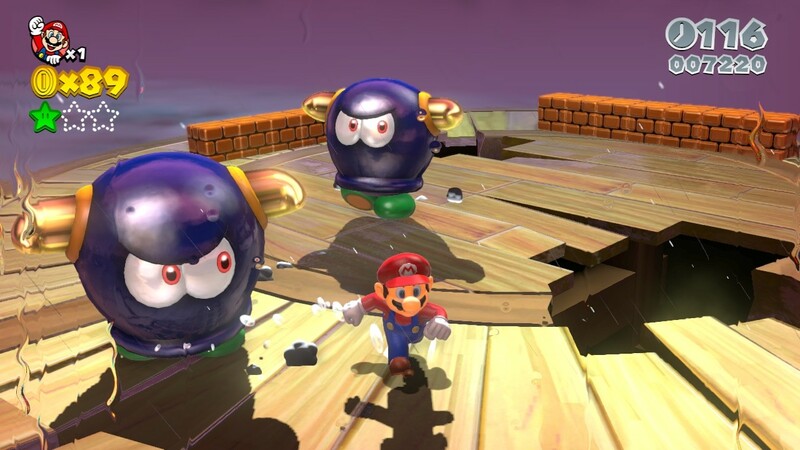 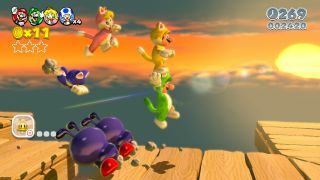 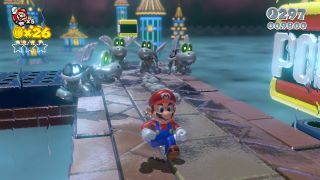 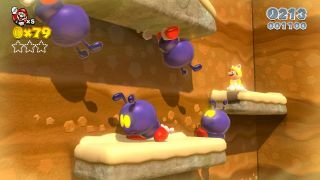 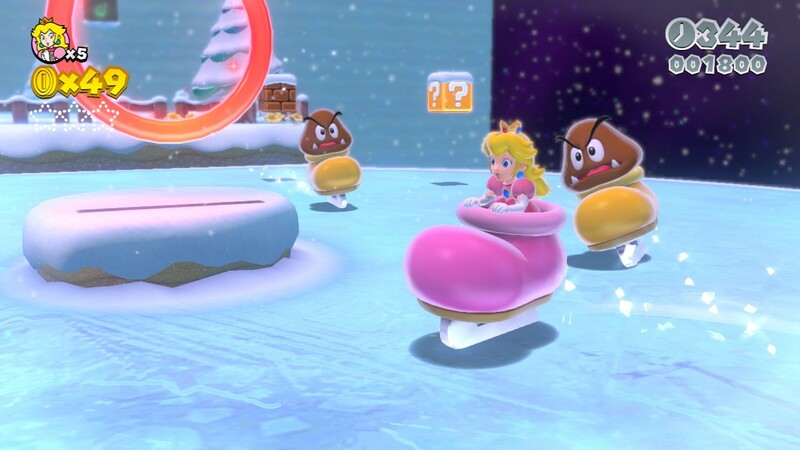 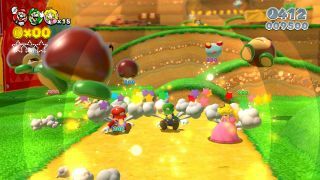 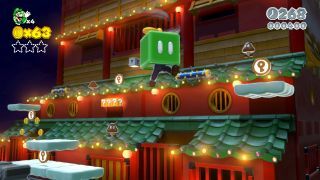 First and foremost, they show off all four playable characters (Mario, Luigi, Peach, and Toad) in action and how their individual powers can help the group succeed. 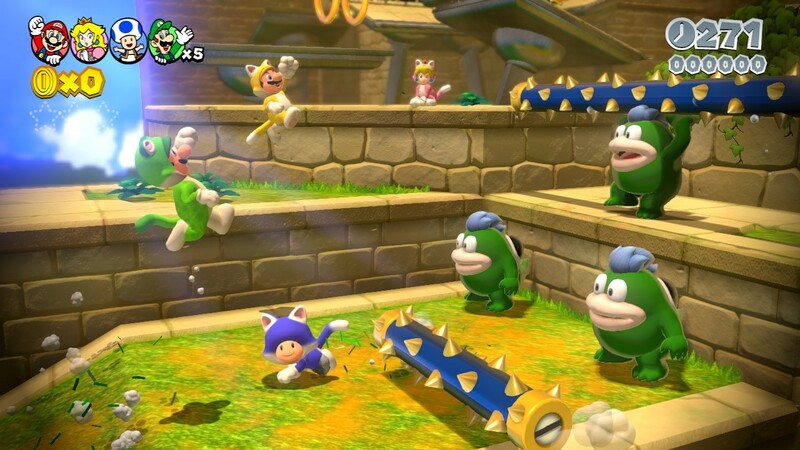 Just how much higher does Luigi jump, or how much faster does Toad sprint than Mario? 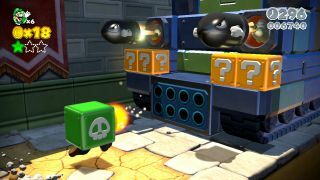 Next, tons of power-ups are shown, both from older and newer games in the series. 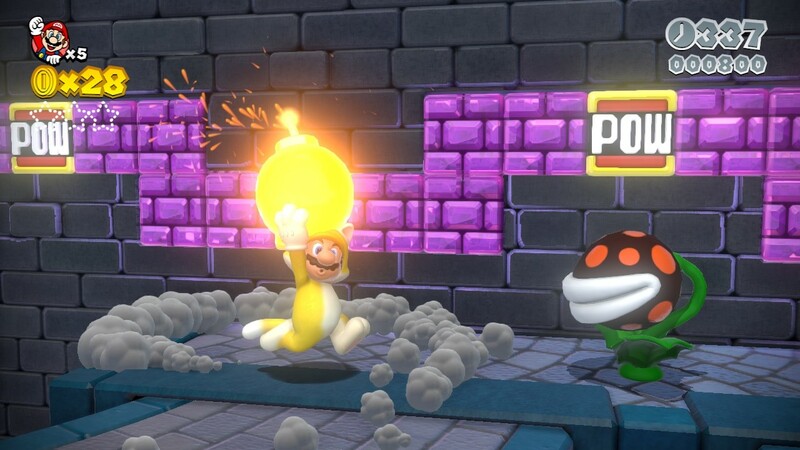 The sheer number and variety of powers at the player’s disposal should make for some interesting playthroughs. 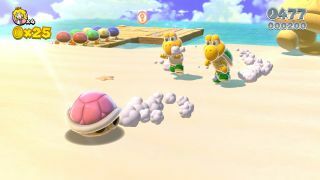 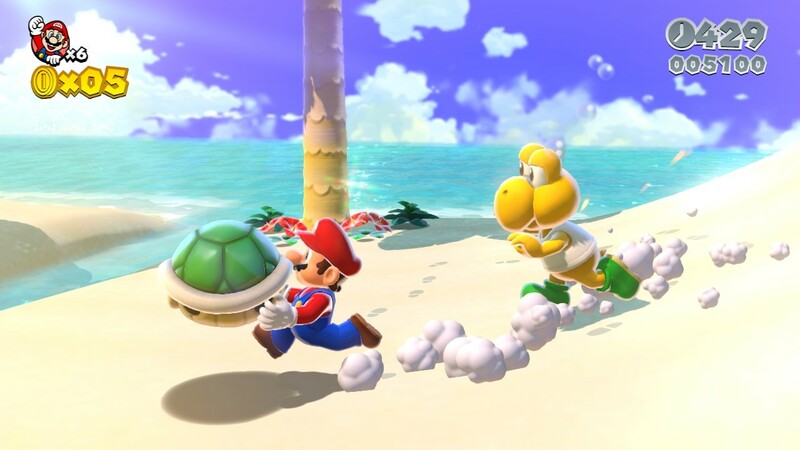 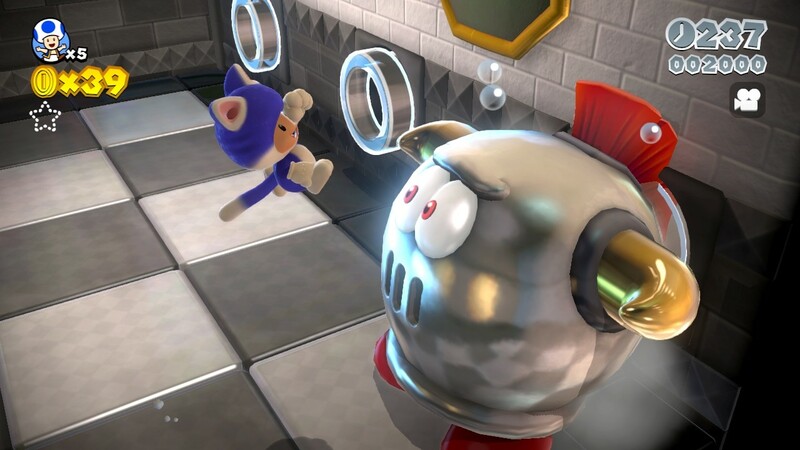 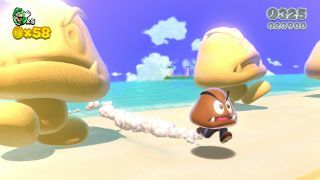 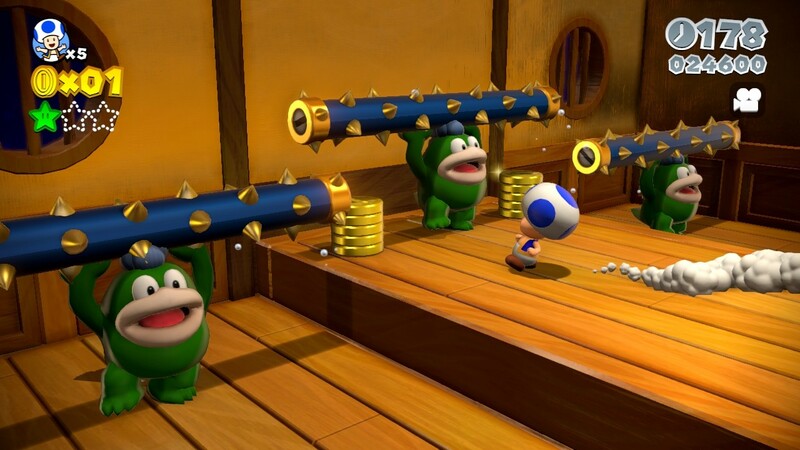 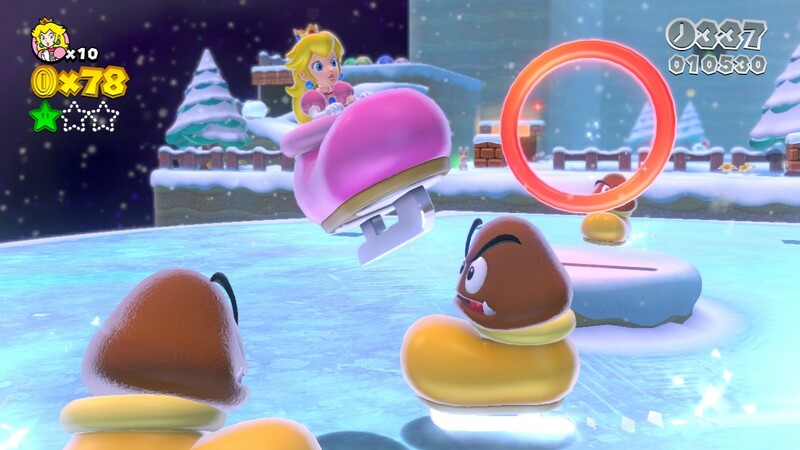 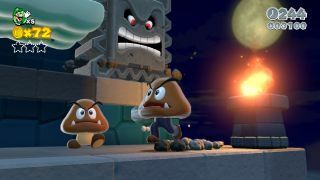 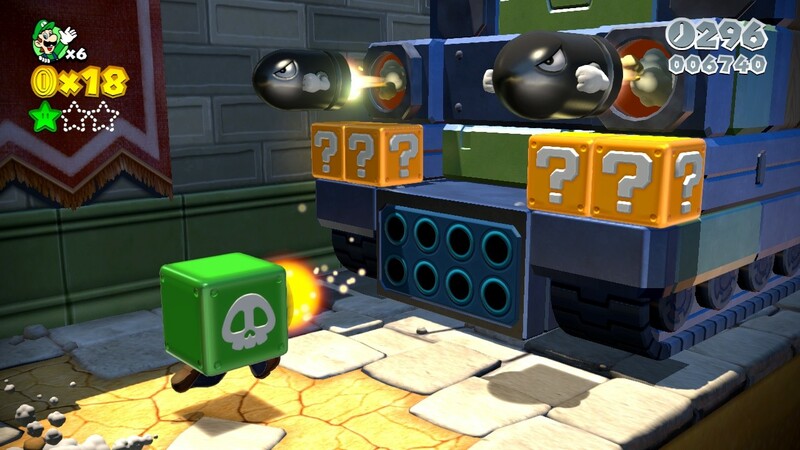 Take, for example, the Koopa shell, sliding around levels and even into Warp Pipes, or the Shiny Tanooki Suit, which gives new players to the game a chance to blow through obstacles to the next stage. 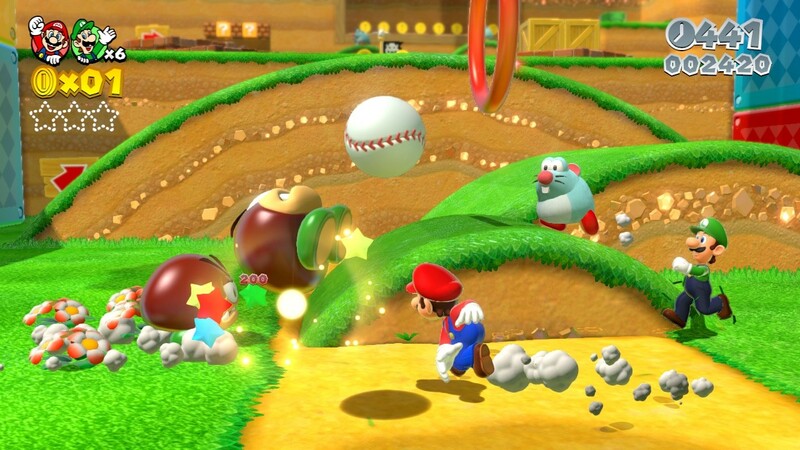 The possibilities are plentiful and definitely look to add replay value. 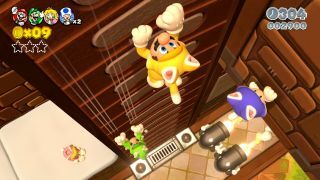 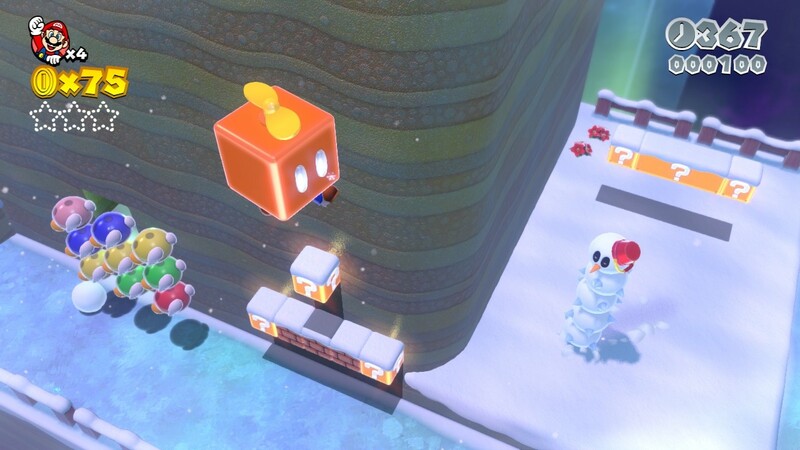 One of the more interesting power-ups revealed, a Double Cherry, doubles or even triples your character simultaneously! 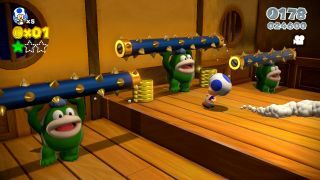 It is a shame, however, that Nintendo won’t be bundling this game instead of New Super Mario Bros. U/Luigi U into the recently announced Wii U Deluxe bundle, but we digress. 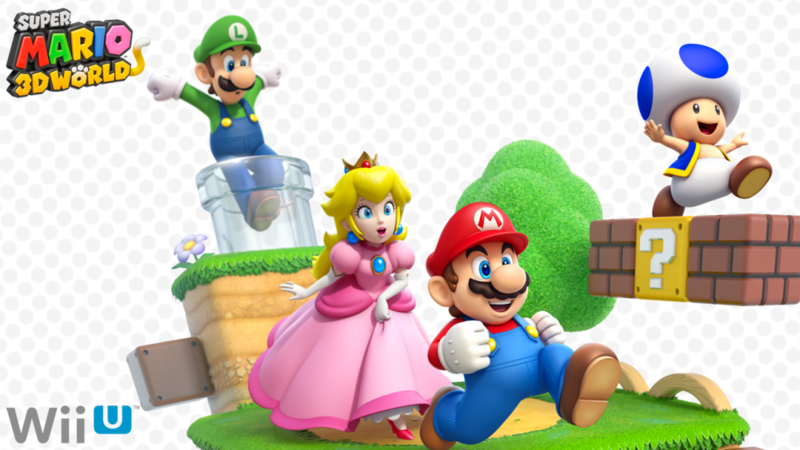 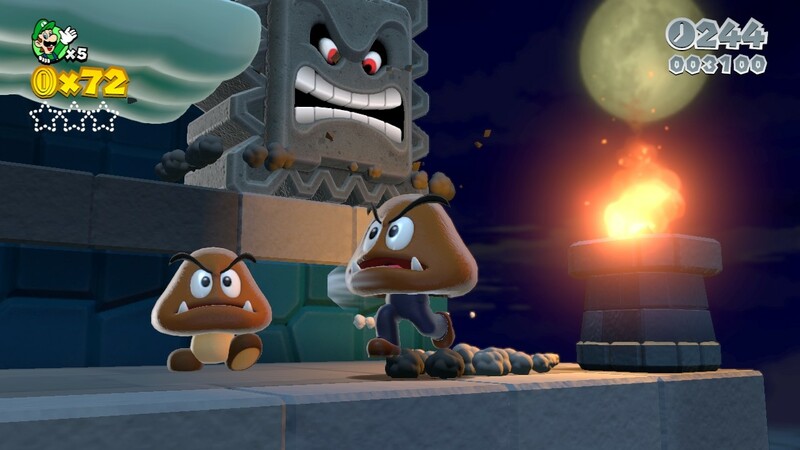 Gamers will still be able to purchase Super Mario 3D World soon enough, coming this November 22nd.